Edward Jenner, born in Gloucestershire in 1749, is acknowledged as the father of immunology - the science of our body's defence against invading bugs and chemicals. The story goes that in May 1796 a dairymaid, Sarah Nelmes, consulted Jenner about a rash on her hand. He diagnosed cowpox rather than smallpox. Smallpox at this time was the most infectious disease in Europe, striking rich and poor, and killing up to a fifth of those infected in numerous epidemics. Edward Jenner realised that this was an opportunity to test if cowpox could protect someone from smallpox. For his experiment, he chose James Phipps, the eight-year old son of his gardener. On 14th May he made a few scratches on one of James' arms and rubbed into them some material from one of the pocks on Sarah's hand. A few days later James became mildly ill with cowpox but was well again a week later. So Jenner knew that cowpox could pass from person to person as well as from cow to person. The next step was to test whether the cowpox would now protect James from smallpox. On 1st July Jenner “injected” the boy with smallpox. As Jenner anticipated, and undoubtedly to his great relief, James did not develop smallpox, either on this occasion or on the many subsequent ones when his immunity was tested again. This was followed by many further experiments. All that is known about disease prevention by vaccination, our understanding of allergy, autoimmune diseases (such as rheumatoid arthritis), transplantation and AIDS followed from the fundamental work of this man. You may be asking why is this in the “Bird Notes”. Please read on. In Edward Jenner's day the greatest honour that could be bestowed upon a scientist was to be elected a Fellow of the Royal Society (FRS). Jenner was awarded that distinction in 1789 for a paper that explained the nesting habits of the cuckoo - a bird that had intrigued philosophers and naturalists since the days of Aristotle. As you know, the cuckoo parasites other species of birds during the rearing of its young. It lays a single egg in the nest of a bird of another species. 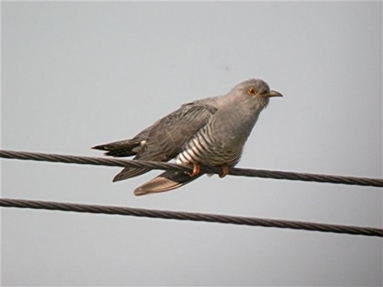 The foster-parents then feed and raise the young cuckoo as if it were their own. Only the young cuckoo survives. All eggs and fledglings belonging to the birds that built the nest disappear. Jenner determined to find out why only the cuckoo survives in each nest. 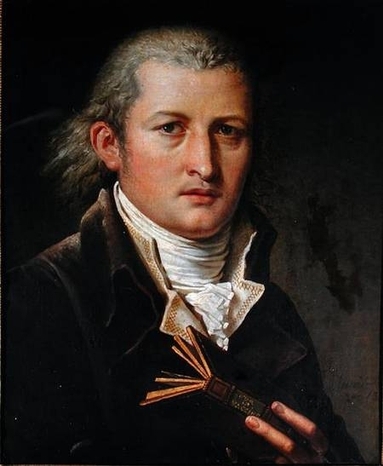 What Edward Jenner had realised was that it was not the parent cuckoo that ejected the foster parents' eggs and chicks from the nest, as was previously believed, but the newly hatched cuckoo. In its first few days of life the fledgling bird worked its way backwards, up the side of the nest, pushing behind it an egg or young bird, until this could be thrown from the nest. It repeated this task until only it remained in the nest. It therefore took over the food supply provided tirelessly by the foster parents. By dissecting young cuckoos Edward Jenner discovered that their bodies are specially provided with a depression in the back, between the wings. In this the young bird cups the objects which it is pushing from the nest. This depression disappears before the fledgling cuckoo is 12 days old. Edward Jenner made many observations and experiments to support his hypothesis. His findings remained contentious until the twentieth century when naturalists, such as Eric Hosking, were able to photograph the phenomenon. This summer, as you enjoy the sound of the Cuckoo on Arran, I hope you will think about the work of Edward Jenner.